Everybody makes mistakes, and I have made them all. You always are always learning if you self-publish. Mistakes are wonderful because they are probably the best learning tools you can use when trying to master a new skill, such as learning to play the piano. The positive use of them in encouraging self-correction is a learning reinforcement technique I use in my language classes. Perhaps if I was a driving instructor, though, they might not be quite so useful. Making repeated errors with the third conditional structure is part of the learning process, but running over pedestrians, three or four times is not. I make this point because the following list of mistakes I have made in self-publishing fall into these two categories. Firstly, there are the ones that one can learn from, and then improve upon, then try again – the fail better next time kind of mistakes. Then there are the ones that should never be made. These are the near-fatal errors that can do a lot of damage to your reputation as a writer and therefore your future book sales and income prospects. Well, they are not as serious as running over and killing three or four pedestrians, but they are mistakes that you should try hard to avoid making even once. So what ones have I made? So many, but I have restricted my embarrassment to the following ten, near-fatal and non-fatal admissions of guilt. My ten worst self-publishing mistakes. 1. My first book was brilliant! 2. I became an author, fast! 3. Finished. Then I started flogging my book. 4. I knew I should have done better. 5. Everyone will love my book. 6. I became a multi-genre author. 8. I checked my book sales every day. 9. I believed I would get my big break, one day. 10. Amazon is the only place to sell books. Of course, it was because everyone told me so. That these people all knew me and didn’t want to hurt my feelings, didn’t occur to me at all at the time. In all honesty, I’m not sure that they had even read it because I forgot to ask them if they had, and also failed to ask them any questions about the story. I happily accepted them all saying it was fantastic, wonderful and that they were so proud of me. My first book was, in fact, awful. Dreadful would be a better word as it was full of grammatical, spelling and punctuation errors on top of hundreds of silly typos. It was also full to the brim of plot holes and character errors. Lesson learned: Always get multiple independent opinions, ask questions, listen, learn and want criticism. Get all the feedback, help and guidance you can, and never listen to your mother’s opinion. Self-publishing was so simple that no sooner had I got my first book of 80,000 words neatly formatted in one Word document, I thought, why not hit the publish button and become an author, like now? Then, I’ll see what happens. What happens is that real people read the blurb and preview pages of books that are hurried to market by first-time authors, and they are nowhere near as loving as your mother. It only takes a couple of honest, bordering on nasty, and approaching hurtful reviews to understand very quickly that being an author is not quite as wonderful as you had imagined. Even very good books get some bad reviews, but a badly written and prepared book will never get anything except harsh criticism. I made this mistake well before e-books, so I can only imagine how much worse this mistake would be today. Lesson learned: A poor product will always attract criticism, bad publicity and drive customers away in droves, so never rush to publish and be in a hurry to become known as a very bad author. Thinking about selling a book when it is finished and ready to publish is a common trap, as well as a wasted opportunity. Even a well written and prepared book, with a great cover, is not going to sell well without a marketing plan. A book needs to hit the market with at least a small splash. It doesn’t need to be a tidal wave, but it does need help in getting before potential book buyer’s eyes. 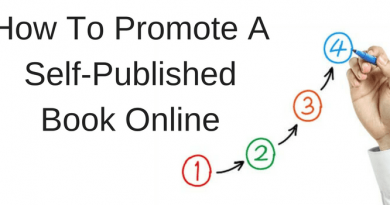 Booking posts on book blogger sites, paying for book promotion to coincide with your release date and planning a social media campaign should be on your pre-publishing to do list. Lesson not learned: I have to admit that I am still totally useless at this, and it falls into the fail better next time category for me. I promise myself every time I write a new book that I’ll do better next time and prepare a marketing plan before I start writing my next book. I will. I knew my first few books were not so great, but well, what’s done is done. It took me those few books (and years) before I suddenly realised that self-publishing had one super fantastic advantage. No book is ever done. You can re-write, edit, repair, renew and refresh any book that has been self-published, and then republish it as a far better and more professional version. And no one knows. Lesson learned: After this early discovery, not one of my books has ever escaped re-publishing. I have often changed covers, modified and corrected the text, and even changed titles. A self-published book can always be improved. Of course, everyone will love my book because it’s such a great story, with engaging characters and it’s got a really neat twist at the end. It’s got a bit of everything for everyone. In reality, book buyers are extremely fussy and buy far fewer books than you probably think. It takes a lot of research, listening, interacting and building of online connections to understand a little about where your reading demographic market lies. Trying to sell your book to everyone wastes a lot of time and money. Lesson learned: Know your market and think about who you are writing for. Teenagers and people in Scotland don’t seem to care for my books at all. I’m not all that popular with the 20-30 age group either. More women tend to buy my books, but then again, I think more women read than men. Middle-aged men do like one of my books. I have one book that nobody likes at all. I still am, but I am really going to have to settle down one day and stick with what I do best. This is not what I would call a ghastly blunder. It is a choice self-publishing gives to an author – to be able to experiment, try different genres and writing styles and see what works and what doesn’t. The only problem is that it makes it more difficult to attract a dedicated readership. While some readers love one, or perhaps two of my books, there are other books that just don’t fit into any category they would like to read. Lesson learned: I know which genre is my most popular, so I will cease experimenting and stick to that one from now on. Perhaps, probably. I have been through this feeling more than once, and in all honesty, it is good to take a break. Writing books is hard work and it’s tough when sales don’t meet your expectations. In fact, they will never meet your expectations, so you begrudgingly accept that fact. However, there is another reason for giving up. Lesson learned: Only give up writing when are sure that you don’t want to learn how to be a better writer anymore, and that you don’t want to listen to another single word of constructive criticism. I gave up writing for four years once until I realised the real reason why I had made the decision. I had stopped wanting to learn. When I was new to Internet print on demand (POD) self-publishing, I used to check my unit sales every morning without fail. It is so easy to develop a fixation, and with it, an overwhelming feeling of doom. When there are no sales, your ego takes a pounding, and when there are a few, you start thinking that it’s, at last, the start of a positive upward trend in your writing career. Whether sales are up or down, both affect you, which is something you really don’t need if you want to write. Lesson learned: Stay well away from your online retailers’ sales and royalty sites. Write, write and write some more and ignore book sales for as long as possible. Once a month is more than often enough to check on bad news. My experience is that book sales happen mostly when you are not looking. Being an author has to be about the very worst profession going when it comes to fulfilling the dream of becoming an overnight success, being famous and making a truckload of money. Of course, I had this notion when I first started writing but luckily, my daydreaming didn’t last very long. Self-publishing can be a rewarding and enjoyable way to make a side income. Depending on the time and effort you put into it, and the writing skills you possess, it can even be lucrative as well. But forget all about wishful thinking. There are more rich plumbers than there are wealthy writers. When Amazon first created KDP Select, I was hooked by their pitch about increased sales opportunities, free e-book promotions, higher royalties and extra income from e-book lending. Almost immediately, I withdrew all my books from sale on all the other retailers so I could adhere to Amazon’s strict rules of exclusivity. My reasoning at that time was that as the majority of my book sales were coming from Amazon, what did I have to lose by foregoing around 25% of my income on all the other retailers combined? Lesson learned: I lost a lot! What I didn’t realise at the time was that by withdrawing all my books from other retailers, my titles that were listed on them lost all their momentum over the year I gave exclusivity to Amazon. Lost reviews and ratings, as well as lost sales opportunities. Yes, my sales and income on Amazon increased over that one year, but only by about 20%. It was also a year that saw me giving my e-books away for free, by the truckload, but gained no substantial return at all on rankings or sales by doing so. It has taken years to rebuild my sales on Apple and B&N in particular after quitting KDP Select. With my experience of KDP Select well behind me now, my advice is never to give anyone exclusivity to your book or books, unless they have a very fat advance check for you in their hand. Do not put all your eggs in one basket is very old advice, but it is still acutely true. These ten mistakes rate highly on my own litany of self-publishing boo-boos, but they are only a selected handful of all those that I have made. But it’s worth remembering that self-publishing is still so new and immature that all involved in it are still experimenting. It’s not only authors but online publishers, traditional publishers, bookstores, aggregators, tech giants and even the god of self-publishing, Amazon. Everybody makes mistakes. We are all learning. But if you are new to self-publishing, you might also like to read the top ten book marketing mistakes new authors make to help reduce your learning curve a little. Further Reading: Fail Again, Fail Better? Does It Mean You Will Fail Worse? Thanks for this article! It has been very helpful. My husband and I recently published a book via KDP. We learned a lot and feel that it was not a bad way to start. But, we do not plan to publish with KDP again due to lost opportunities. How did you publish on Apple? You can use Smashwords or Draft2Digital to publish on Apple.